For the study of different levels of (intra)cellular regulation and condition-dependent insight into metabolic activities, fluxomics experiments based on stable isotope tracer experiments using 13C have become a well-established approach. 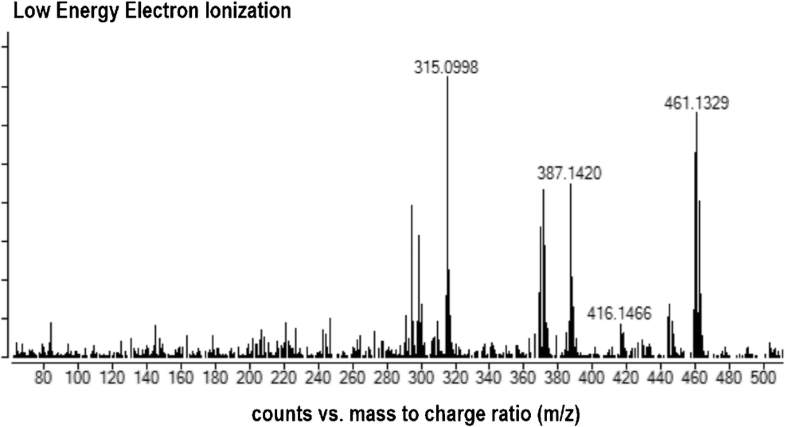 The experimentally obtained non-naturally distributed 13C labeling patterns of metabolite pools can be measured by mass spectrometric detection with front-end separation and can be consequently incorporated into biochemical network models. 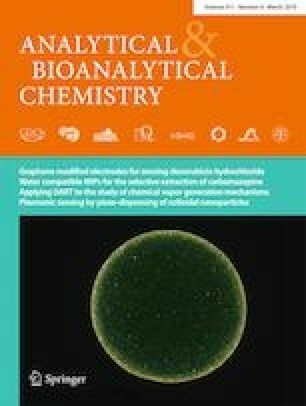 Here, despite a tedious derivatization step, gas chromatographic separation of polar metabolites is favorable because of the wide coverage range and high isomer separation efficiency. However, the typically employed electron ionization energy of 70 eV leads to significant fragmentation and consequently only low-abundant ions with an intact carbon backbone. Since these ions are considered a prerequisite for the analysis of the non-naturally distributed labeling patterns and further integration into modeling strategies, a softer ionization technique is needed. In the present work, a novel low energy electron ionization source is optimized for the analysis of primary metabolites and compared with a chemical ionization approach in terms of trueness, precision, and sensitivity. The online version of this article ( https://doi.org/10.1007/s00216-019-01590-y) contains supplementary material, which is available to authorized users. Agilent Technologies Inc. is acknowledged for a University Relation Research Grant for the project “GC/Q-TOF with Low-Energy Electron Impact Ionization Source for Advancing Isotopologue Analysis in Fluxomics“. Christina Troyer is acknowledged for valuable scientific discussions. EQ VIBT is acknowledged for providing mass spectrometry instrumentation. Gerrit Hermann from ISOtopic Solutions is acknowledged for his support in providing cell material.